Home >> December 2018 Edition >> The Forrester Report: Will Happy Days Be Here Again? The Forrester Report: Will Happy Days Be Here Again? 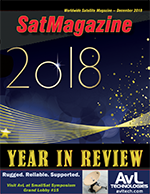 The end of October saw the industry’s ‘big three’ operators — Intelsat, SES and Eutelsat — unveil their latest quarterly results. They were not good. At best, the trio admitted that revenues would be flat, with each of them announcing falling Video/Media division revenues. The only bright spot shared by all three were their ‘Governmental’ revenues, but it is fair to say those government increases are only recovering from the depressed ‘sequestration’ period which ended — more or less — a year ago. 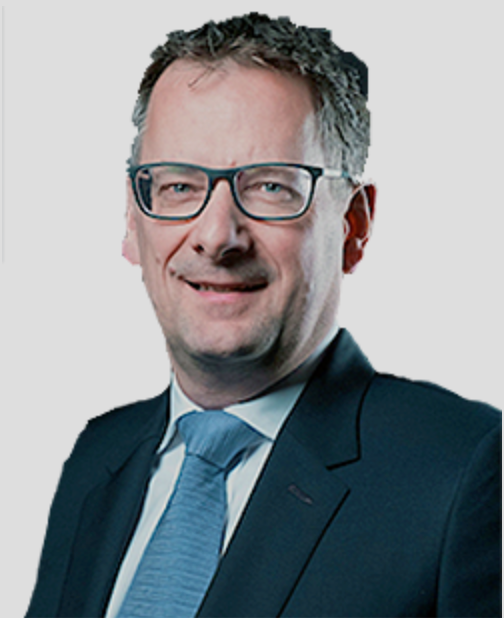 However, and despite a few share price hiccups, optimism for their future trading during 2019 remains high from each of the three players and that optimism is hugely helped by the prospects of massive windfalls from the reassigning of C-band spectrum in the US. deployment of 5G service in the C-band Downlink,” said the CBA. Indeed, the potential rewards that could flow into each of three (plus Telesat of Canada) are so meaningful that the market has already started building in significant extra values to the share prices of all of those operators involved. One equity analyst said that the market was looking at the C-band prospects with “blinkers on” in regard to the underlying trading prospects. 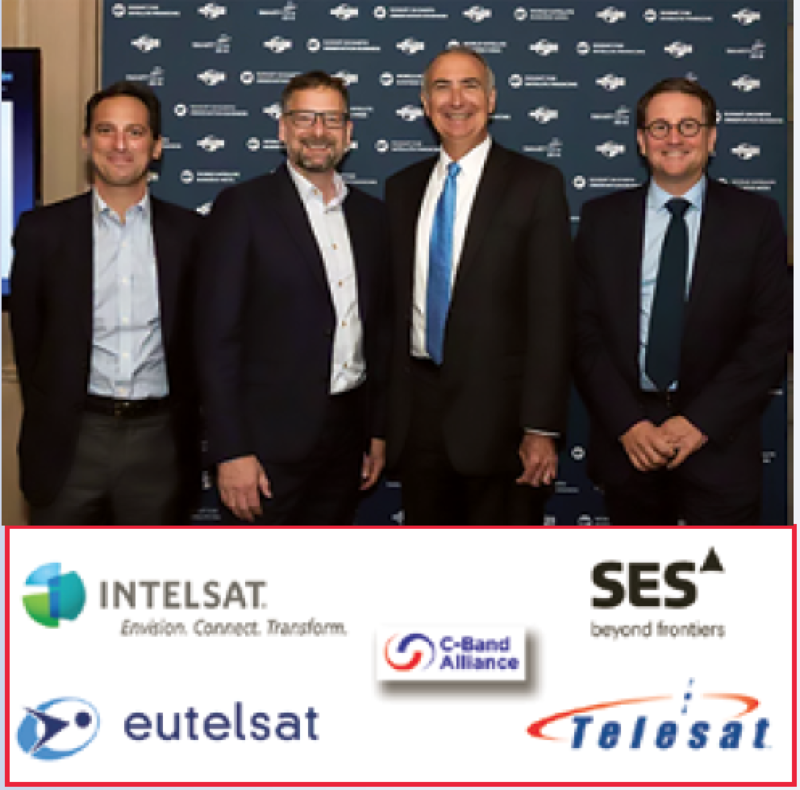 Intelsat, SES, Eutelsat and Telesat have formed the C-Band Alliance (CBA) and have agreed to expand their original offering of 100 to 200 MHz of their capacity to help push 5G’s speedy roll-out. October witnessed the CBA stress that a market-based approach represented the fastest way to repurpose C-band over the U.S., essential if a commercially sensible approach is needed to free up bandwidth for 5G telephony. “The Market-Based Approach will minimize the need for Commission intervention and complex and lengthy oversight. Extensive FCC oversight of a Transition Facilitator will prove unnecessary and likely delay deployment of 5G service in the C-band Downlink,” said the CBA. The phrase ‘market-based approach’ is another way of saying ‘let us sell our spectrum ourselves.’ The alternative is for the FCC to become involved themselves which, the CBA argues, would lead to “prescriptive mandates,” which would be unnecessary, long-winded and likely to involve an army of lawyers. The above data chart is courtesy of NSR. The CBA scheme has fresh support from chip-set giant Intel, the IT Innovation Foundation, the World Teleport Association and GCI Corp. The responses and comments from other interested parties were due to the FCC are due no later than November 27. 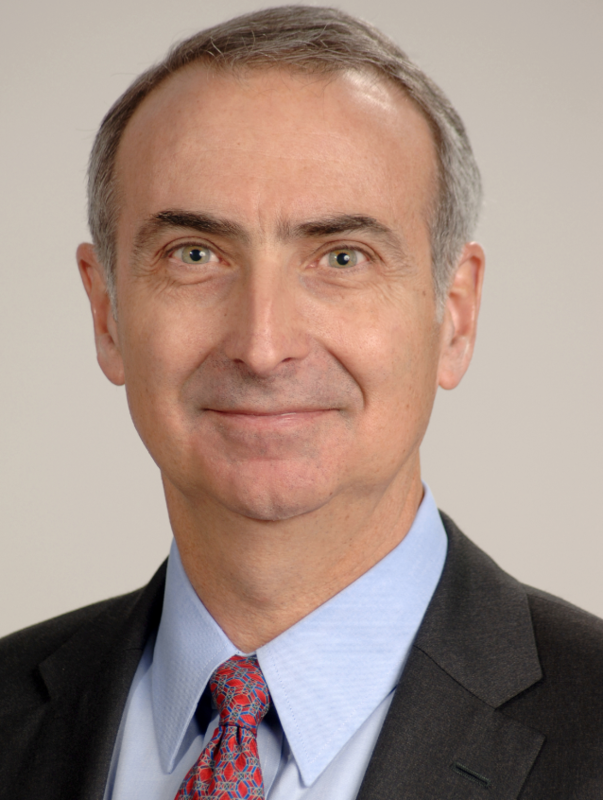 Intelsat’s CEO Stephen Spengler told analysts during the firm’s Q3 conference call that the CBA’s plan to free up C-band capacity for the USA’s speedy adoption of 5G would be limited to 200 MHz (made up of 180 MHz plus guard bands) and that this bandwidth was the highest slice of spectrum likely to be available in the short-to-medium term (see the chart in the adjacent column). Spengler said that 200 MHz was the maximum available to be cleared in the target 18-36 month time-frame. SES President and CEO Steve Collar had expressed the same view during his report to the market. Intelsat says that neither they — or other members of the CBA — had done any work above the 200 MHz target and that freeing up additional spectrum would require a greater depth of technical development and, possibly, new satellites. As if to emphasize that point, anything above 200 MHz is not on the CBA’s agenda, at least not for now. That warning — about the lawyers — is valid. Not only would legal arguments extend the project into the wild blue yonder, but such would also scupper the current valuations for satellite operators. Intelsat said the company’s costs to restructure their U.S. C-band spectrum, complete with filters and site visits to more than 16,500 dish installations, will cost as much as $2 billion. Take the other operators into the equation and the overall costs will be significant. Add in the procurement of a few extra satellites to replace the ‘lost’ capacity and the overall bill starts looking quite expensive. SES estimates that there could be 30,000 C-band users in the U.S. — the American Cable Association, earlier in 2018, guesstimated that 90 percent of the organization’s member ‘receive only’ Earth stations were unregistered. Intelsat confirmed that clearing 200 MHz will, indeed, require the procurement of multiple satellites — the exact number has not been confirmed, but there are now RFP’s that have been delivered to satellite manufacturers — in a discussion of the publicly mooted clearing cost figure of $1 to $2 billion, Intelsat management steered expectations toward “the higher end of that range.” The CBA will be watching closely how 5G standards evolve to ensure that the spectrum blocks and interference measures are optimally configured; management are pleased with the FCC’s (Notice of Proposed Rule Making) NPRM comments filed so far. The FCC recognizes that the time for 5G investment is now. The prospects of maybe three million extra jobs is a tempting benefit. The additional benefits to the CBA members are obvious: a speedy freeing up of their 200 MHz as well as revenue valuations at anything between 40c-$1 per MHz pop would dramatically reduce Intelsat’s current $14 billion debt burden and more or less wipe out SES borrowings. Eutelsat and Telesat would each receive a useful bonus windfall for their spectrum. Then there’s the real prospects down the line of a further 50 to 100 MHz which might be released and the impact from outside the USA to other countries where a readjustment of C-band might be beneficial. 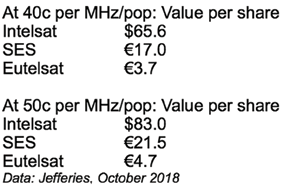 A well-regarded industry name said that the re-allocation of satellite C-band frequencies for 5G could well be extended to other nations, according to analysis by J. Armand Musey of Summit Ridge Capital. Musey explained the rationale in a highly detailed and compressive study in Summit Ridge’s 2018 Spectrum Handbook that was issued in October. Musey points out that global mobile data traffic, and thus spectrum demand, is growing at an explosive rate (63 percent up in 2016, and by a similar amount in 2017). Video downloading represented 69 percent of consumer Internet traffic in 2017. More than 78 percent of the world’s mobile data traffic will be video by 2021, said Musey, leading to a crunch for operators. “Mobile is a big industry. Today, it supports over 4.7 million jobs and contributes around $475 billion annually to the U.S. economy. One study suggests that mobile carriers in the U.S. will spend $275 billion building 5G networks, creating three million new jobs and adding $500 billion to the economy. Thus, the mobile industry, by adding the new three million jobs that are projected to be created, will approach five percent of the total U.S. job market. “Other countries, such as the European Commission through the CEPT (European Conference of Postal & Telecommunications Administrations), Australia, and Japan, are looking at reallocating the C-band as the ‘first primary band for 5G’. Methods of reallocating the spectrum from satellite to mobile use could include FCC-type auctions or an innovative alternative to allow satellite providers to voluntarily sell spectrum through a secondary market method using an independent third party ‘Transition Facilitator’ to manage the valuation of the satellite spectrum and the sale of licenses to mobile carriers. In other words, this particular C-band-wagon might keep rolling for some time. 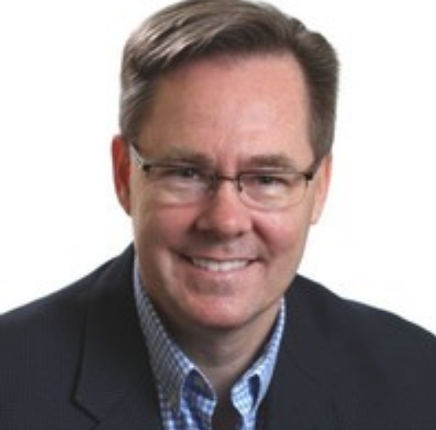 Senior Contributing Editor Chris Forrester is a well-known broadcast journalist and industry consultant. He reports on all aspects of broadcasting with special emphasis on content and satellite broadcasting, the business of television as well as emerging applications and technologies. He founded Rapid TV News and has edited Interspace and its successor Inside Satellite TV since 1996. He also files for Advanced-Television.com. In November of 1998, he was appointed an Associate (professor) of the prestigious Adham Center for Television Journalism, part of the American University in Cairo (AUC), in recognition of his extensive coverage of the Arab media market.